While automation is great, we have to be careful not to recreate past problems. What I mean is that playbooks should be written in a generic fashion that can be applied to more than one host. If we’re writing playbooks that only work on one single host, we aren’t much further ahead than we were before. 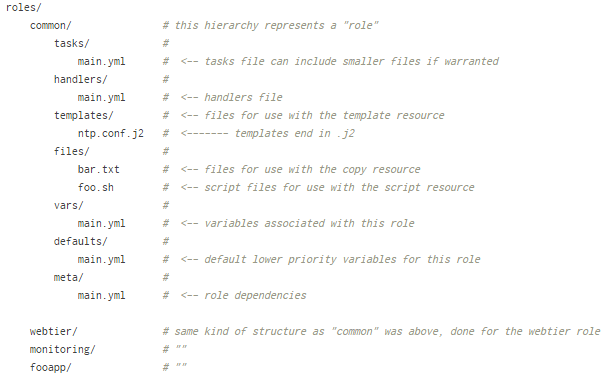 Two of the key components of making playbooks reusable are Ansible variables and roles. Let’s try and define each of them individually and while showing some examples along the way. Note: Theres an easier way to make this folder structure using Ansible galaxy but that’s out of scope for this post. As you can see, roles can come in pretty handy for generic tasks. Keep in mind that we’ve only scratched the surface of the role construct here to get you up and running. We’ll be talking more about other aspects of roles in later posts. Note: In many places you’ll see variables assigned in the above manner referred to as ‘host_vars’ and ‘group_vars’. Notice that we now have a ‘vars:’ section defined at the top of the playbook. All of those should be familiar to you now except for the runtime option which we’ll cover last. Priority increases as you move down the list. That is the, if you want to override absolutely any other defined variable, you should do it at runtime with the ‘–e’ flag. Note: Its important to put the single quotes around the variables when passing more than one variable in this manner. 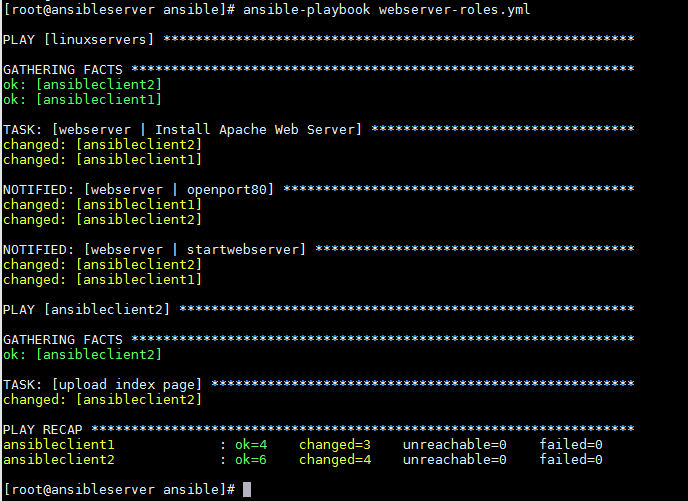 The more I play with Ansible the more I like it. The role construct coupled with scoped variables is pretty powerful. I hope you found this look at roles and variables useful, comments always welcome!